The Patrol Series® is based on classic Zodiac® design with proven results. 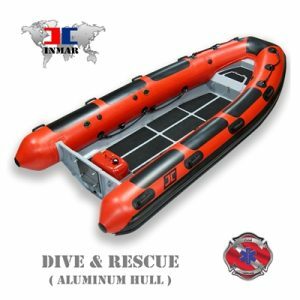 The Patrol models are made for heavy duty commercial and dive uses. Recently, all our series have gone through extensive upgrades, further enhancing its durability. Suitable for a wide range of applications, it is easy to see why the Patrol Series® if the choice for multiple professionals. 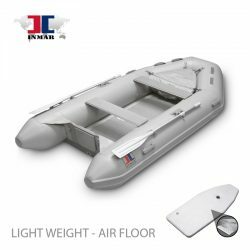 The new features of this boat include an increase in material thickness. We are now producing 1.2 mm. material thinckness for our tubes, compared to the standard models at only 0.9 mm. We even went a step further in creating a secondary layer that runs the length of the tube bottoms. This gives a total of 3 mm of material for running up on the rocky beaches. All our Professional series have 6 air chambers standard. Safety and keeping you afloat is priority one for JP Marine. 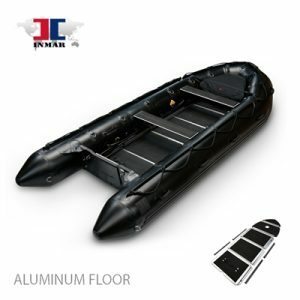 Standard Features: Non-skid aluminum floor with anodized aluminum stringers Transom, heavy duty marine grade plywood (black) Aluminum engine mounting plate (Heavy duty ) Reinforcement on tube transom attachments Internal release self bailing drain system (Pop-Up design) All around rub strake, flat profile, black Rubbing strakes for beaching on keel and tubes Carry handles, easy grip hand design Bow handle (Stainless) Transom mounted D-lifting rings (Stainless) Exterior/Interior lifelines (Peripheral) Fifteen Interior tie down D-rings (Stainless steel) Two large tow rings on bow (Stainless steel) Two large tow rings on rear tubes (Stainless steel) Foot pump with gauge Field repair kit Storage bags, bow bag Paddles (Alum. 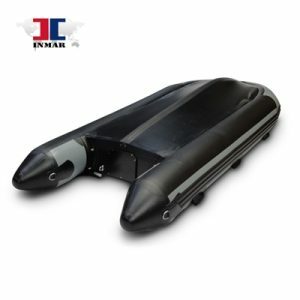 shaft, plastic blade) Shipping Information Boat package dimensions: 58x29x19 (0.26 cbm.) Boat package weight: 244 lbs. Floor package dimensions: 52x28x15 (0.26 cbm.) Floor package weight: 192 lbs.